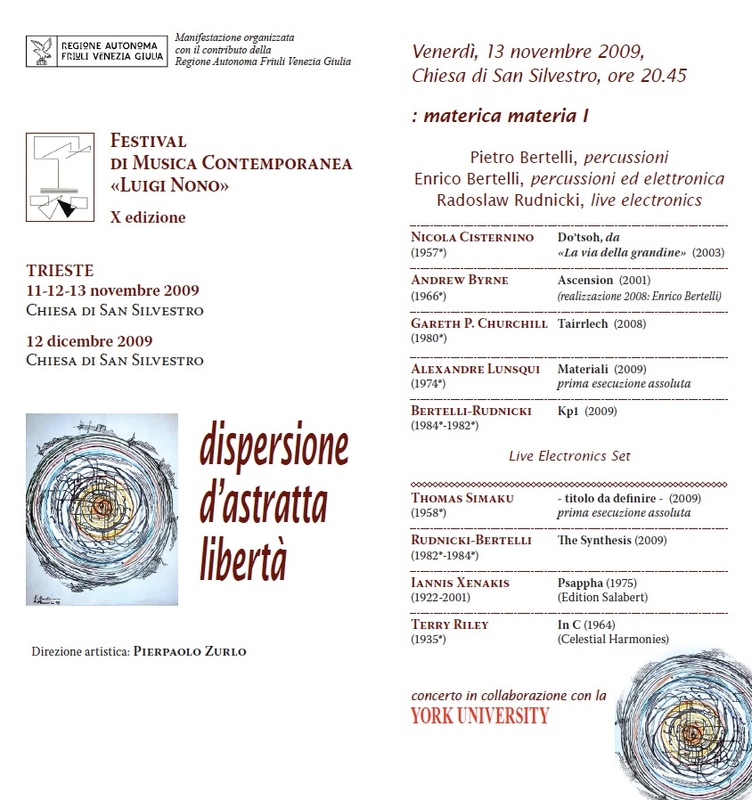 Trieste, Italy – Luigi Nono Festival 10th Edition – Live act with Brake Drum Percussion. 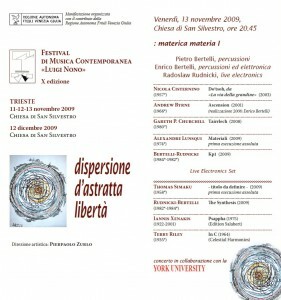 Treviso, Italy – Live act with Brake Drum Percussion. 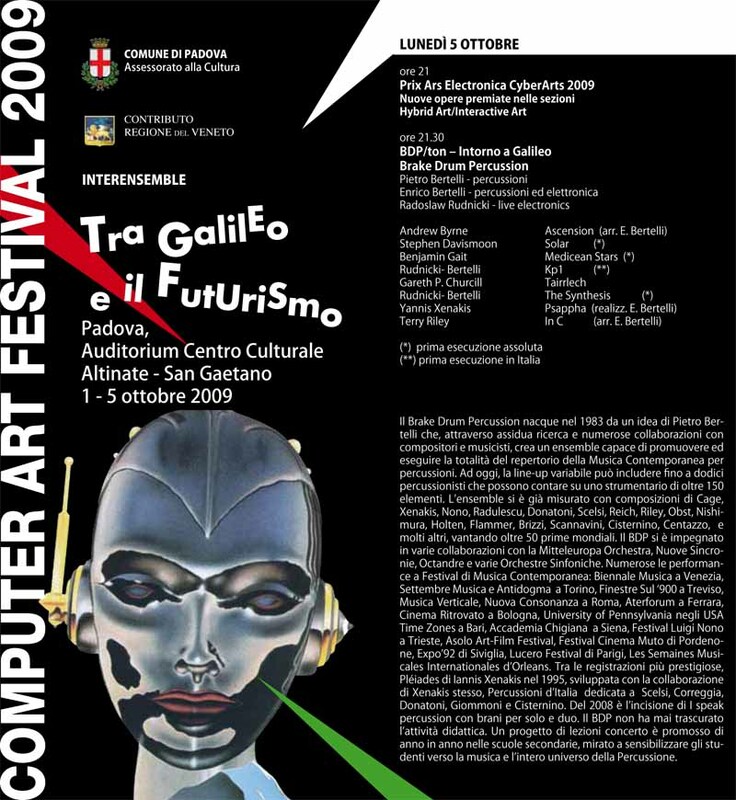 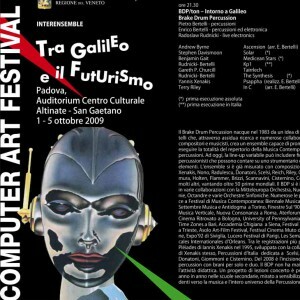 Padova, Italy – Live act with Brake Drum Percussion. 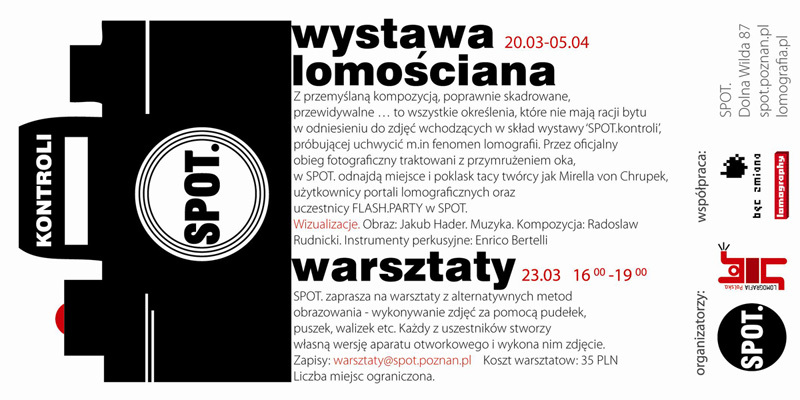 Spot kontroli – Poznan, Poland – Experimental Analog Visual – Audio visual installation in collaboration with Enrico Bertelli and Jakub Hader.